In clear weather you can see the turbines out to sea, both in the day and lit up at night. 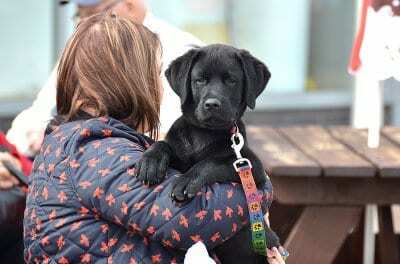 Cleveleys does have a special relationship with them. Here’s more about the Walney Offshore Windfarm. Here at Cleveleys we all know the Offshore Windfarms, and how the turbines silhouette against the fantastic sunsets. Do you know that part of their power supply comes to shore here at Cleveleys? The windfarm that you see out at sea today has been developed in phases over a number of years. First, the Barrow Offshore Windfarm was built, then the Walney Offshore Windfarm. There are 102 turbines in the Walney Offshore Windfarm, approx 15km west of Barrow-in-Furness. The first one was installed on 12 July 2010. The windfarm can just be seen on the distant horizon – to the left of what appear to be the larger Barrow turbines. (They look bigger because they’re closer to the camera). The Walney Offshore Windfarm was built in two phases – Walney 1 and Walney 2 – by Dong Energy. They are a Danish company, now called Orsted. Each of the turbines is 150m from blade tip to sea level. That’s 30m taller than the Barrow ones and only 8m (24′) shorter than Blackpool Tower! There are 51 turbines in each phase, each one capable of generating 3.6MW of electricity and a total of 367.2MW. That’s enough to power 320,000 homes. The power supply for the Walney 2 windfarm comes to shore at Rossall Beach, right here at Cleveleys. Visit Cleveleys was lucky enough to be involved from the start to the end of the installation project. We documented the works online and provided information and updates for local people. 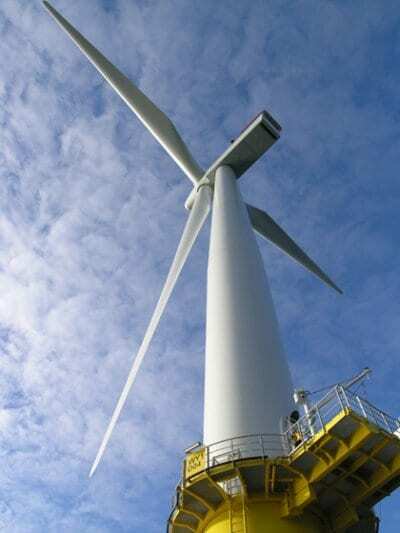 The turbines were being installed out at sea by a marine crew, while the high voltage cable was laid here on land. The open cut installation of the cable started in the late summer of 2010. The whole project was documented through a portal on Visit Cleveleys. There people followed weekly updates, photos and information about was happening, and what was coming next. 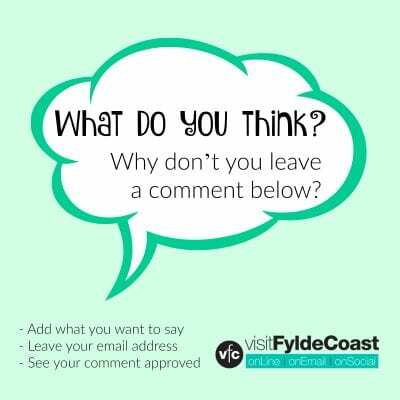 The Visit Cleveleys/Visit Fylde Coast websites have been rebuilt several times since then! The portal originally contained a lot of information and in transferring it to new websites the formatting went askew. The detailed information was therefore removed and an overview explanation inserted instead. If anyone requires information for research purposes, we have a big archive of photos. The cable continues in its underground trench in the highway from Thornton Gate near to the seafront at Cleveleys to Hillhouse Industrial Estate at Thornton. A new sub-station was built there (below) to transfer the power into the nearby National Grid at Stanah. 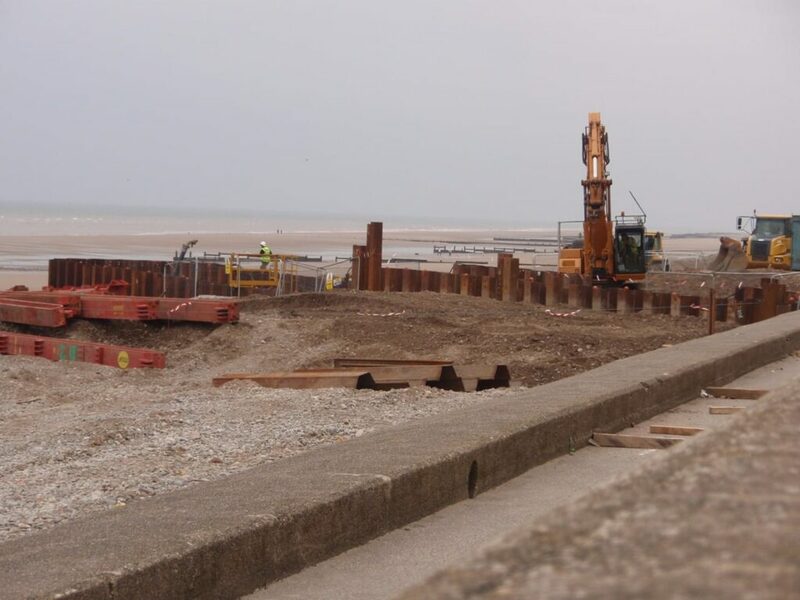 In 2011, a cofferdam was constructed on Rossall Beach at the end of Thornton Gate, to enable beach works to take place. Big steel sheets were piled into the beach to create a tank. The sand was excavated out of it to create dry space for the workmen to do their job. They created a hole under the sea wall through which the high voltage cable could be pulled when it was brought to land. Once the turbines were erected out at sea, and a cable had been laid in the highway, the two had to be joined together. How that happened was a fascinating experience in itself. In Spring 2011, a cable barge docked offshore at Cleveleys to lay the power connection or ‘export cable’ which joins Walney 2 to land. A plough attached to the barge carved a 2m deep trench into the seabed. Meanwhile the high voltage cable was unrolled off huge spools on the back of the ship and dropped into the trench to be covered in sand. The marine cable is in one piece from the windfarm to land, and joins to the land cable at Thornton Gate. It’s an armoured, high voltage 132kv power cable, complete with a 48 core fibre optic cable which provides communication to the windfarm. The Walney Offshore Windfarm has since been extended. The 87 turbines of the extension phase became operational in September 2018. 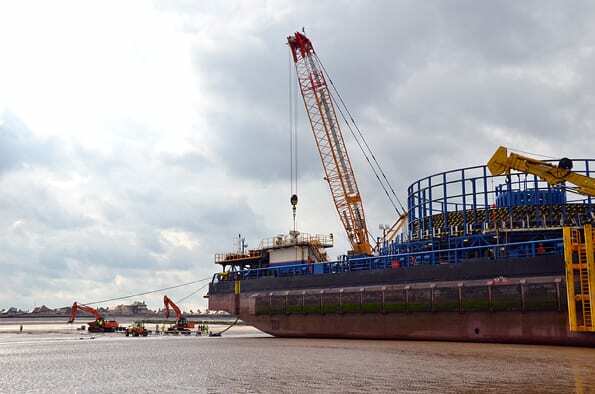 More about the Walney Offshore Windfarm Extension here. 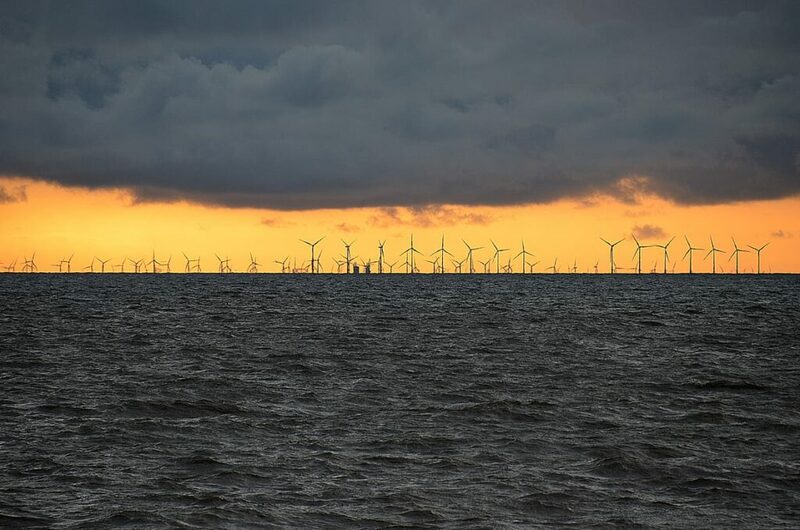 Now, the windfarm which we can see from land on the Fylde Coast is currently the largest in the world. 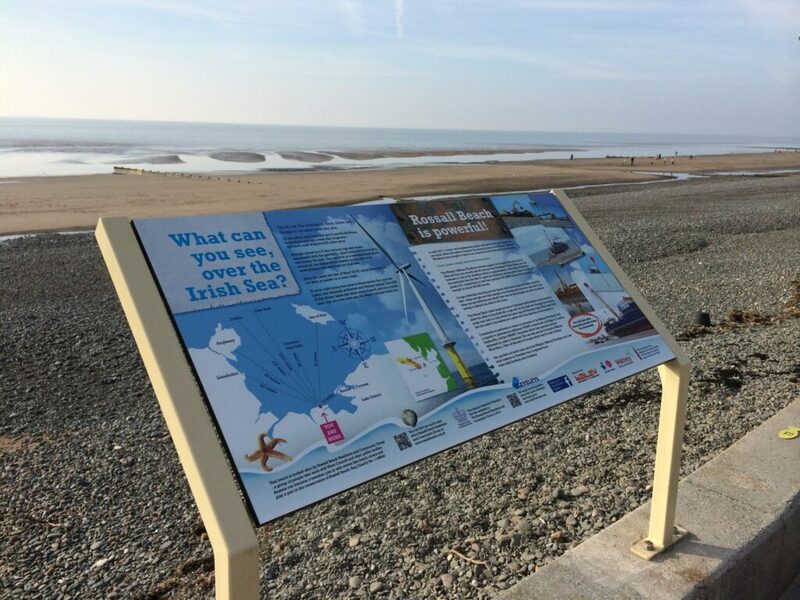 While you’re out walking along Cleveleys seafront, watch out for the information board where the cable comes ashore. At the end of Thornton Gate (where the planter is) at Rossall Beach there’s a panel with lots of interesting details about the windfarm. See how the cable was brought to land, roughly what you can see over the sea and much more. It’s one of a series of information boards produced by Rossall Beach Residents and Community Group. They look after this stretch of beach and share their knowledge with other beach lovers.